Find Inner Peace! An intensive silence retreat at the foot of the holy mountain Arunachala. For three weeks all your attention is directed inward. Set out for a life-changing experience! 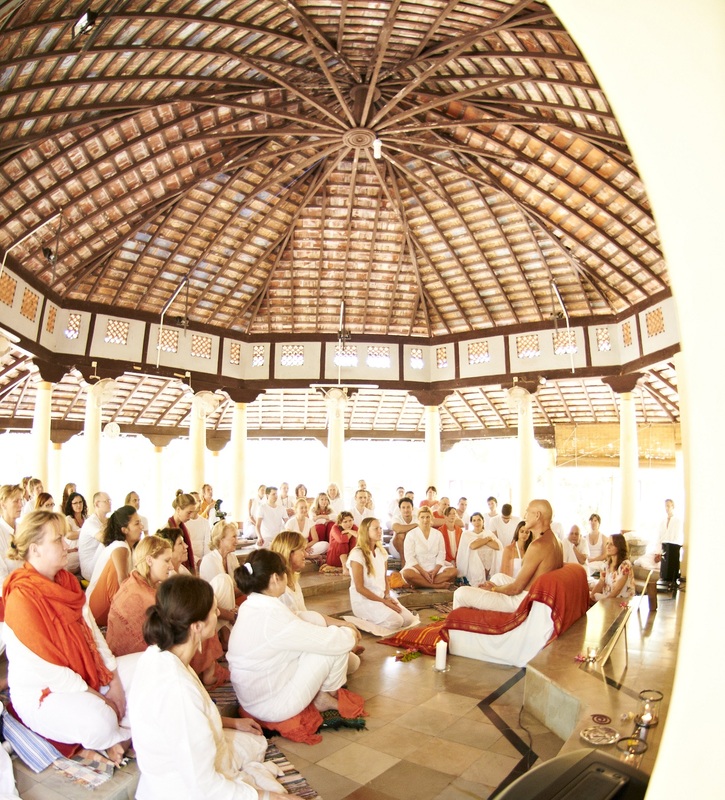 Experience and enjoy the presence of a living master in daily Satsang, guiding you home. Satsang with Madhukar, consisting of meditative silence and support, is held twice daily in the most beautiful Ashram in Tiruvannamalai. Let’s explain: Satsangs are gatherings where busy minds cool down. 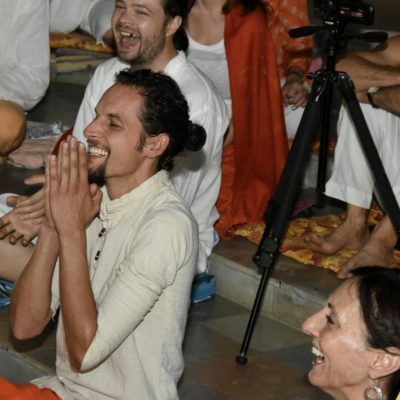 Through silence, meditation, dialogue, chanting and ecstatic dance. In Madhukar’s presence and guidance you experience a tranquil state of consciousness. That enhances wisdom and nurtures your mind towards inner peace. He is a direct disciple of Papaji (Sri H.W.L. Poonja), the „Lion of Lucknow“, whose Guru was the famous sage of Arunachala, Sri Ramana Maharshi. The serene beauty of Arunachala is the place for this courageous dive into oneself. You agree to shut down all digital devices and to take a strict vow of silence. 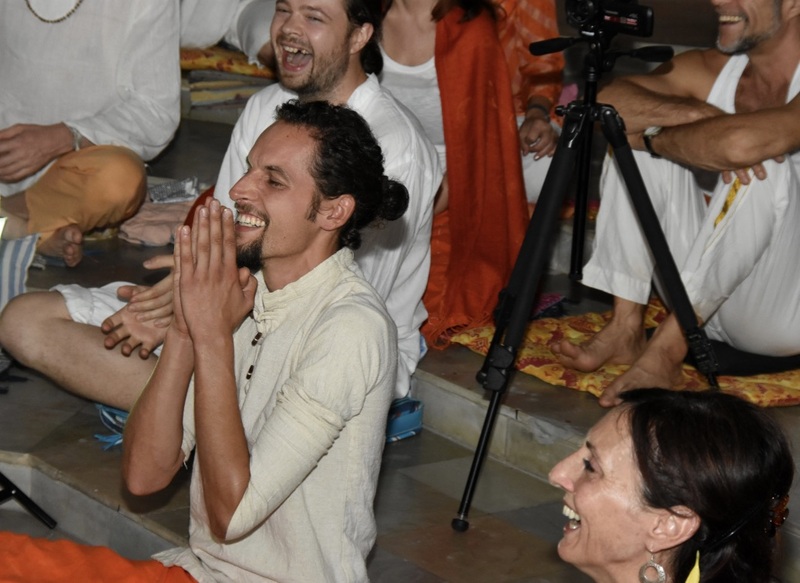 The Pradakshina, a pilgrimage around the sacred mountain during full moon, wonderful walks to the golden pond and sitting in Ramana Maharshi’s living room are additional highlights to deepen the silence within you. Hence you will immerse into utter silence truly beyond imagination. Yoga at sunrise and a healing vegetarian-ayurvedic detox diet revives your body and clears your mind. Arising questions can be clarified with Madhukar during Satsang. 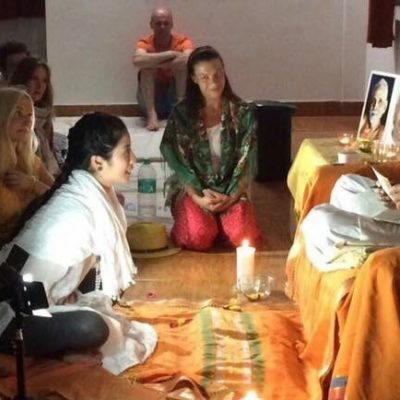 While fading thoughts clear the space again for the beauty surrounding you, the master is guiding you deeper and deeper into silence – a revelation unfolds! The retreat starts on February 2, 2020, at 1 pm and ends on February 22, 2020 after lunch at approx. 2 pm. Retreat languages are English, German, Dutch and Russian. Satsang with Madhukar, consisting of meditative silence and support, is held twice daily. In addition, free Chanting and Yoga classes are offered. We strongly encourage you to pre-register - this retreat fills up quickly. Pre-registration for guaranteed participation closes December 1, 2019. Registration is secured with a deposit of 490 €. For the deposit simply click on the students price. For cancellations by the participant a 200 € processing fee will be charged. Registrations with full payment before November 1, 2019, receive a discount of 50 €. Price for vegetarian full board has to be paid at arrival in €, $ or INR directly to the Ashram office. The Ashram accepts cash payment only. Room booking is arranged by our organizers Satya and Amrita, see also Contact Information. 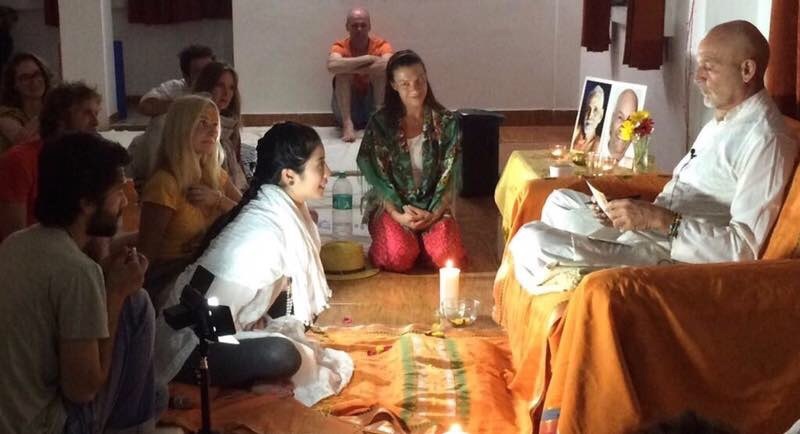 Consumption of alcohol, tobacco and drugs is strictly forbidden, no lying around outside the private rooms, no autonomously leaving of the Ashram. According to tradition, clothing colors are orange and white. Women dress in Indian style, covering knees, shoulders and décolleté. Tiruvannamalai is located in the federal state of Tamil Nadu, South India. The next airports are Chennai and Bangalore. From there take a taxi (approx. 3 hrs. for about 3.150 – 3.300 INR/~50 €) or a much cheaper bus directly to Tiruvannamalai. Participants of the Enlighten Life Retreat in Goa travel at low cost by train or bus to Tiruvannamalai. Certainly you can join somebody!